This year’s edition of Min Imissu, the no-holds-barred, hard-hitting live comedy show by Take 2 Entertainment, will be held at Sir Temi Zammit hall, University of Malta, Msida, today and tomorrow at 8pm. 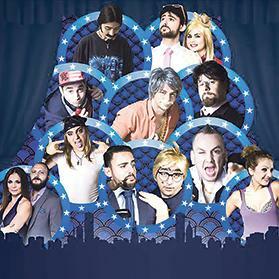 The show is characterised by a unique brand of humour that mixes relentless satire with slapstick and situational comedy that tears into anything and everything that makes us Maltese. Admission is strictly 16+. For tickets, visit showshappening.com .